2,849 ‘Forget Me Not’ wooden flowers will be planted. 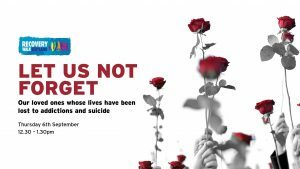 Each flower represents a person who has died from an alcohol-related and drug-related deaths, and of suicide in 2017. We’re going to be there & you should too.